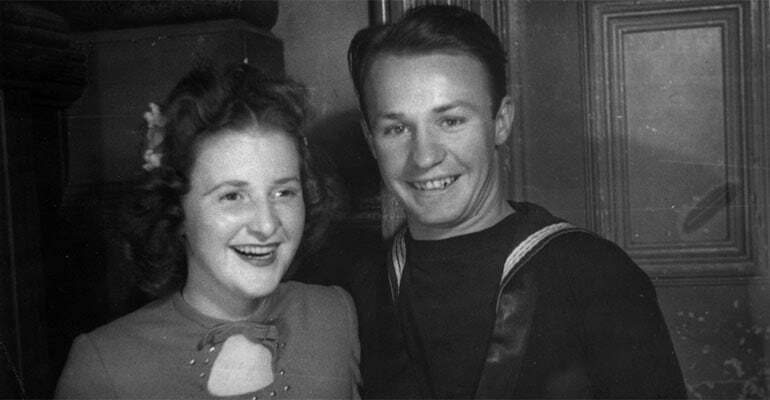 House with No Steps was founded by Lionel and Dorothy Watts, after Lionel contracted polio. In 1947, Frank Lionel Watts or “Lionel” to his mates was in the Navy stationed in Geelong Victoria. It was here at a dance in the Palais Ballroom that he met his future bride, Dorothy. In 1956, Lionel Watts was 28, ambitious, enjoying life, and living in Sydney with Dorothy and their 2 young daughters, Nicole and Kerry. Employed by GJ Coles, he was a dynamic Junior Executive Manager with a promising career ahead. Little did they know, all this was about to change. Later in 1956, Lionel contracted polio which left him with quadriplegia, weighing 32kgs. He spent the next 2 years recovering at hospital. Once he had finally returned home, he made the decision to go back to work but soon found that he would be rejected at every turn. 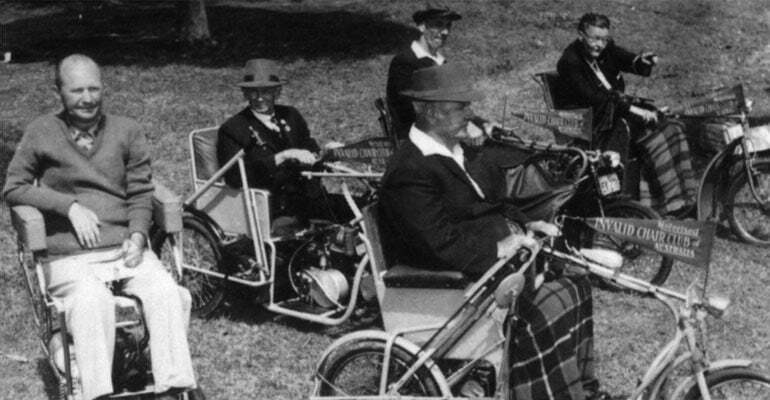 Having been rejected by rehabilitation agencies on the grounds that he was “too badly handicapped ever to be rehabilitated”, Lionel joined forces with other people with a disability to form the Motorised Wheelchair Club, later renamed The Wheelchair & Disabled Association of Australia. Lionel was quickly appointed as the Association’s first President. The Association raised money by selling button badges and with these funds, they built and opened their first clubhouse at Narrabeen on June 10 1962. Following a request from a member to find a house with no steps to live in, the project was thereafter named … House with No Steps. 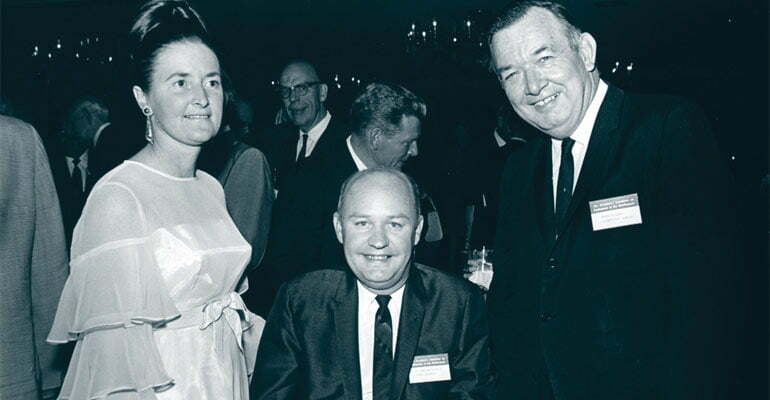 Early in 1964, Lionel leased factory space in Brookvale to open a sheltered workshop to provide employment for people with a disability, called Progress Industries. By 1964, as well as the annual ‘Button Day’, there were raffles, street stalls, bingo nights, Art Unions, and door knock appeals. This fundraising was a crucial part of the funding required to build House with No Steps. Throughout 1964, Lionel lobbied the NSW Labor Government and the Minister for Lands, Keith Compton, seeking a land grant in the Belrose area. 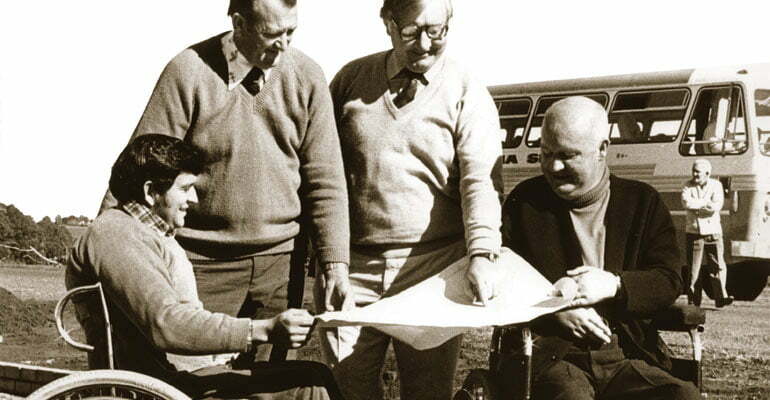 In 1965, after 15 months of negotiations, the NSW State Government finally agreed to grant 2.5 acres of land at Belrose for the construction of the first House with No Steps. An official land dedication was held July 24 in front of a crowd including marching girls and 200 Boy Scouts and Girl Guides. 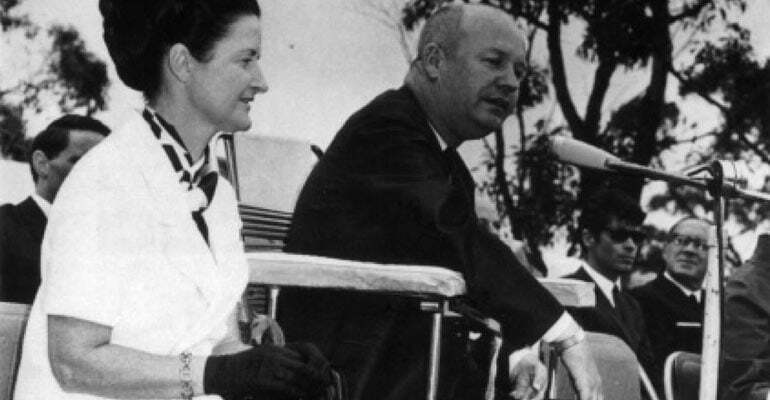 During July 1965, the Warringah Shire Council also voted unanimously to give the name “The Lionel Watts Park” to a 20 acre park opposite the newly granted Belrose site. Architect Frank Fox, offered his services to design the first House with No Steps. Spectacularly modern plans were developed which included 3 stages of development. Arthur Little also came on board as the builder for the project. 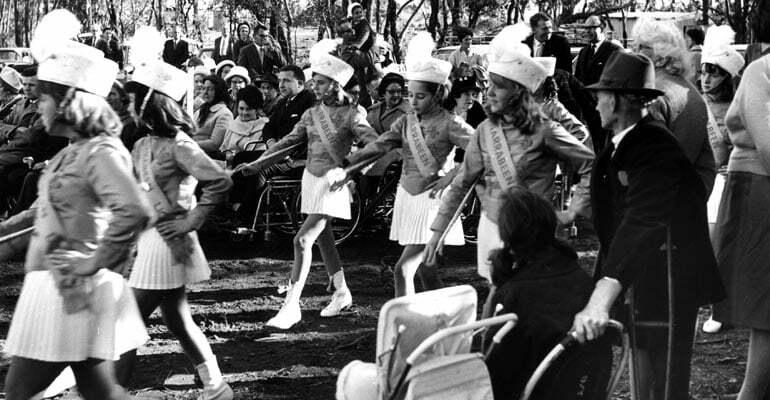 On October 15 1966, NSW, Premier Sir Robert Askin, officially opened a wheelchair factory and sheltered workshop at Belrose. The site was named the ‘Dorothy Watts Vocational Training Unit’ in honour of Lionel’s wife. In March 1969, stage 2 of the plans were completed with the opening of self-contained units. The building was later awarded the ACROD/Royal Australian Institute of Architects “Building for the Disabled” Award in 1972. Stage 3 of the project was originally to build an accommodation centre, intensive care, and disability rehab unit. This stage however was never completed due to a shift in objectives. The next project was to help change Australia’s building codes and architectural standards and in 1966, Lionel and Dorothy travelled the world researching what other nations were doing. Based on what they found, Lionel, along with ACROD and other organisations, lobbied the Federal and State Governments, The Institute of Architects, the Real Estate Institute of NSW, and other groups seeking a commitment to improving these barriers. The mandatory inclusion of ‘laybacks’ in footpaths and kerb crossings. In 1969, Lionel was invited by President Nixon to attend the President’s Committee on Rehabilitation in Washington. Over the following 8 years, he was to attend five similar seminars. Also in 1969 Lionel received further recognition for his great contribution to the welfare of people with a disability by being awarded an M.B.E. in the New Year’s Honours. 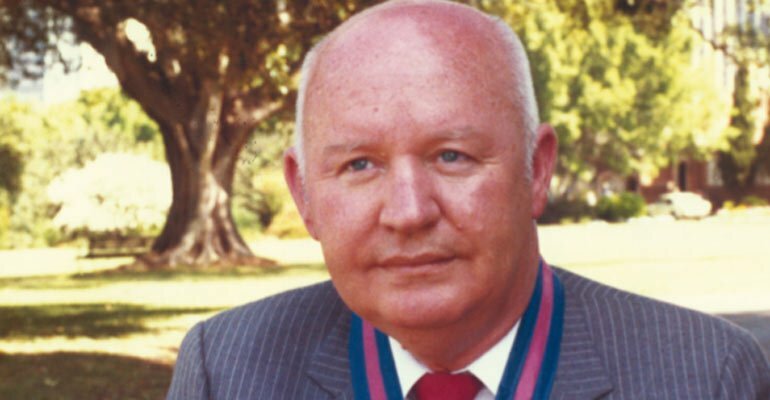 Later in 1982, Lionel was appointed a Companion of the Order of St Michael and St George (CMG) in the Queen’s Birthday Honours for his work in rehabilitation. Even before House with No Steps was completed in Belrose, Lionel had plans under way to construct many more facilities throughout NSW. House with No Steps recognised the need for disability services to be expanded into in regional areas to reduce the need for people to move to the city to gain employment and fulfilment. Sadly, Lionel Watts passed away in 2000 but his wife Dorothy remains an important part of House with No Steps. Now well into her 80’s, she continues to attend functions, visit facilities and advocate for the rights of people with a disability.